Calling all Analytics lovers in #highered, #pseweb and #hesm: Share your story! Working with higher ed websites? Present at the 2019 Higher Ed WEBSITES Conference in June! Looking for an affordable conference for your Web team? 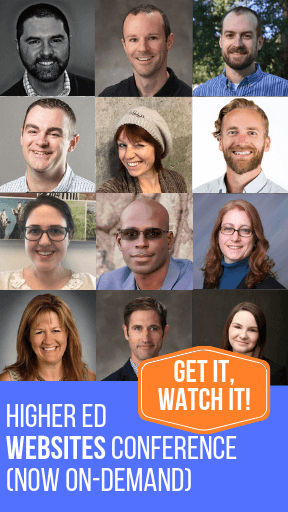 Attend the 2019 Higher Ed WEBSITES Conference to kick off your summer projects! Learn more about this online conference now!